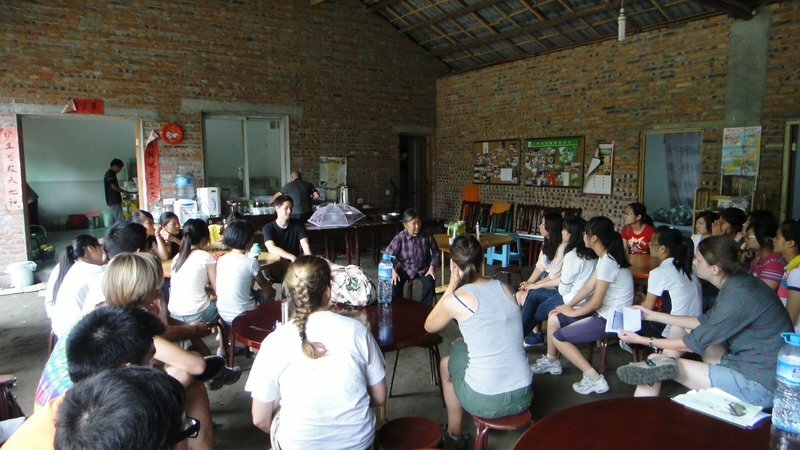 Contributions to the China Country Fund support Volunteer and community projects in China. These projects are largely related to volunteer's service as English teachers on university campuses. Volunteer project activities include creating or expanding English language resource rooms, cultural opportunities for students, and English-language based extra-curricular activities for students. In the past, Volunteers have developed successful projects such as drama clubs, singing groups, photography clubs, sport clubs, leadership camps, women’s groups, and environmental awareness activities to promote women’s empowerment and volunteerism, as well as leadership opportunities for their students. Students listen to a local farmer speak about organic farming during a leadership camp. There are no Volunteer projects in China at this time.